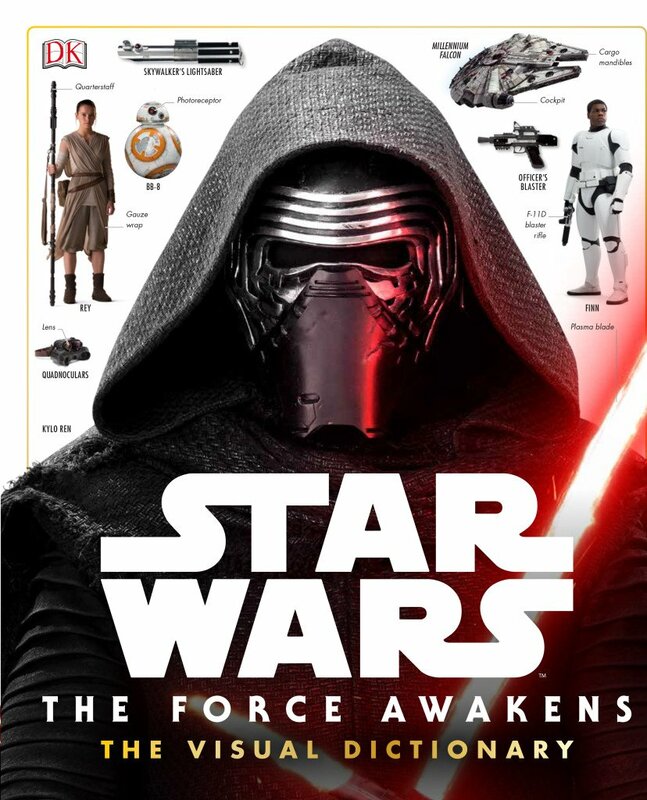 All New Backstory and Details on The Force Awakens from the Visual Dictionary. The Visual Disctionary is a magnificent book that has tons of new information and backstory on The Force Awakens. 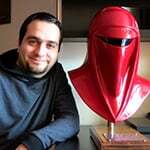 It is written by Lucasfilm’s Pablo Hidalgo, who among other things is a member of the LFL Story Group, responsible for the new cohesive Star Wars canon. In this article we will try to cover the most interesting tidbits that the book offered, which were not addressed in the movie. This book is more like a supplemental companion to the movie, instead of a standalone read. The book mainly tries to explain many things not addressed on the big screen, and it does a great job. Here are some of the most interesting entries. In some cases, I will be using direct quotes from the book and in others, I will offer some thoughts on certain topics. You can click on each highlighted name and you will be redirected to StarWars.com’s official databank. The New Republic – After the Battle of Endor, the Alliance to Restore the Republic was reorganized into the New Republic. A peace treaty (The Galactic Concordance) was signed with the remnants of the Empire. Then, the New Republic turned its attention to galactic politics. The Old Empire withered away and after years of cold war and reparations broke away to rebuild in the Unknown Regions, under the name of The First Order. Princess Leia Organa created The Resistance to watch over The First Order since the passive New Republic was too busy with politics. The New Republic tolerates The Resistance, though it’s wary of risking war with The First Order. To show that The New Republic is different from the old, Chancellor Mon Mothma restored the Galactic Senate, where the Republic would define it’s very nature. Poe – First confirmation that Poe is raised on Yavin IV (hinted in the comics), near to the Massassi ruins from A New Hope. Poe was first a squadron leader in the New Republic but was frustrated that The First Order was not considered a threat. He joins The Resistance, which better resembled the old Rebel Alliance. Lor San Tekka – During the dark times of Emperor Palpatine’s rule, San Tekka was a follower of the Church of the Force. They worshiped the Jedi ideals and believed that one day, their light would return to the galaxy. In his travels, San Tekka uncovered much of the history of the Jedi Knights that the Empire tried to erase. Many seek him for his knowledge on Jedi secrets. Kylo Ren – his birth name is never spoken by decree of the Supreme Leader. Snoke believes Ren is the perfect embodiment of the force, a focal point of both light and dark side ability. Ren uses his helmet to conceal his identity and add to his imposing demeanor. Ren commands from the Star Destroyer The Finalizer. The ship is 3km long, twice as big as a regular Star Destroyer. Ren earns the nickname “Jedi Killer” after he betrays the other Jedi students taught by Luke and kills them all. His lightsaber has modern components but uses an ancient design, dating back thousands of years to the Great Scourge of Malachor. The stressed crystal inside it barely contains the power of the weapon, necessitating lateral plasma vents that become the crossguard quillons. 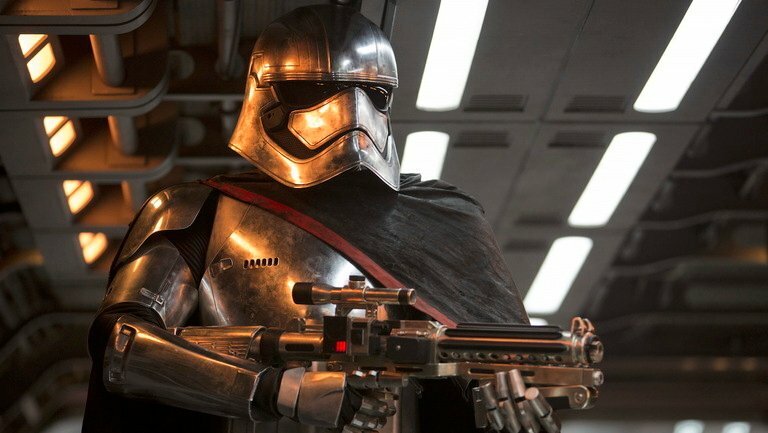 Captain Phasma – Phasma serves as the third partner in the unofficial triumvirate of the Starkiller operation, alongside with Kylo Ren and General Hux. We’ve seen in the movie that General Hux and Kylo Ren are rivals when they appear in front of Snoke. Now it appears that Phasma disagrees with Hux over what it takes to become a soldier. Hux has created automated training regimes that simulates battle situations. Phasma believes such programs don’t test the true heart and courage of the soldiers. Interestingly, Phasma is presented in a positive light in her page in the dictionary. Rather than focusing on her as a villain, she is shown to be one that places strong value in courage and duty. Kathleen Kennedy previously revealed that they have big plans for her in Episode VIII. Could we see Phasma switch camps? Phasma’s armor is coated in salvaged chromium from a Naboo yacht once owned by Emperor Palpatine. It’s reflects harmful radiation but it serves primarily as a symbol of past power. Rey – Rey learned multiple languages from the multiple interactions with offworlders, including Wookiee (Shyriiwook) and astromech binary. She is skillful with different short ranged melee weapons because of her skills with the staff. What is the Awakening alluded to by the film’s title? – The adventures of Rey and Finn on Jakku coincide with a turbulence in the cosmic Force, a sudden ripple indicating the awakening of newfound ability. History of Jakku – the planet was once a home to a secret Imperial research facility, and was the last rallying point of the Imperial fleet. The base was destroyed by Imperials before retreating to the Unknown Regions. Niima Outpost was named after Niima the Hutt. She was the first scoundrel that sought to organize the collection efforts of scrap material, weapons and valuable metals from the scattered crash sites. She was killed by a Bounty Hunter, and the outpost she established was named after her. The Niima Outpost militia consists of three Kyuzo warriors. One of them named Zuvio has a strong sense of justice and cannot be bribed. 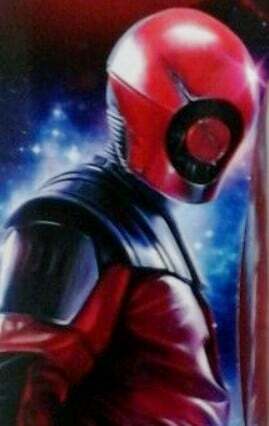 Too bad he was cut from the movie. 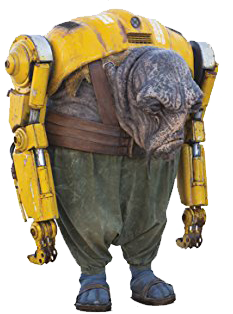 “Crusher” Roodown is a salvager whose arms were cut off by Unkar Plutt’s thugs over a misunderstanding. General Hux‘s father was a highly placed official in the Imperial Academy of old. Hux’s experiences in warfare are entirely theoretical. He is considered a man of science and technology, skeptical on Kylo Ren’s mystics. Hux continues to use the stormtrooper training regimen pioneered by his father. Han Solo – after the Galactic Civil War he became husband to an influential New Republic politician (Leia). He was also a racing pilot for a time. After a profound tragedy, Solo returned to his old life as a tramp freighter captain and a smuggler together with Chewie. After the Battle of Endor, Chewbacca helped lead the New Republic effort to liberate Kashyyyk from Imperial rule. Once liberated, Chewie reconnected with his larger family on Kashyyyk. The Guavian Death Gang soldiers are faceless killers who have sworn loyalty in exchange for cybernetic augmentation. A mechanical reservoir pump acts as a second heart, injecting a secret concoction, boosting their speed and aggression to deadly levels. Kanjiklub hails from Nar Kanji, a Hutt colony world left in disarray following a gang war within the Hutt cartels. Formerly subjugated by the Hutts, the human colonists overthrew their overlords and struck out on their own. C-3PO has upgraded his TranLang III communications package to increase his language fluency to over seven million forms of communication. He is uncharacteristically quiet when it comes to discussing his salvaged arm; it’s a memento of another droid’s sacrifice. R2-D2 was a constant companion to Luke during his journeys across the galaxy following the Battle of Endor. He has never had his memory wiped. 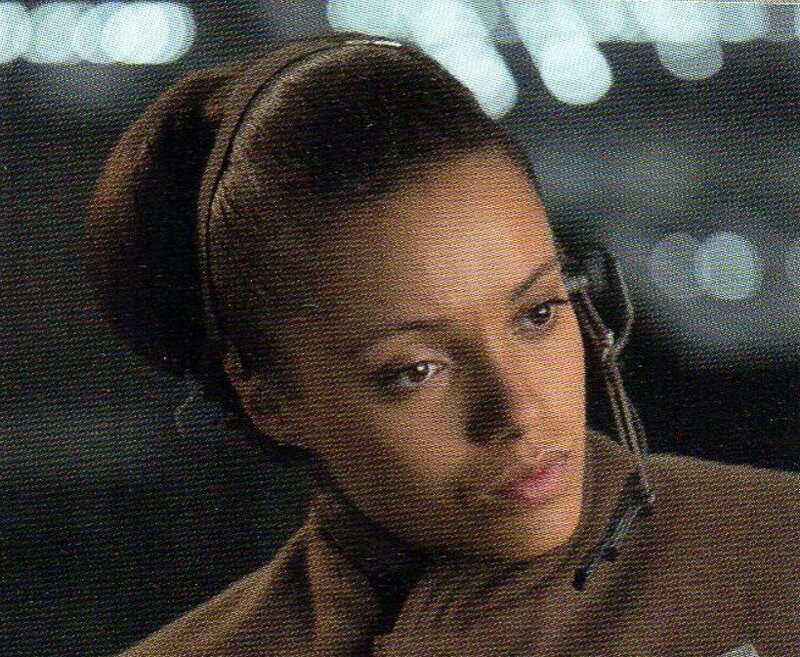 Korr Sella is sent by Leia to the Senate in hope of securing military assistance from the New Republic and to take direct actions against the First Order. Maz Kanata has only felt comfortable openly acknowledging her affinity for the Force since the death of the Emperor. Though she has known Jedi, she never walked that path herself, instead relying on her strong connection to the Force to keep her out of danger. Maz’s castle is thousands of years old standing on land that was an ancient battleground between the Jedi and the Sith. The Visual Dictionary also mentions the snow speeder which Rey controls easily and the snowtroopers inspecting the Falcon after it lands on Starkiller base. 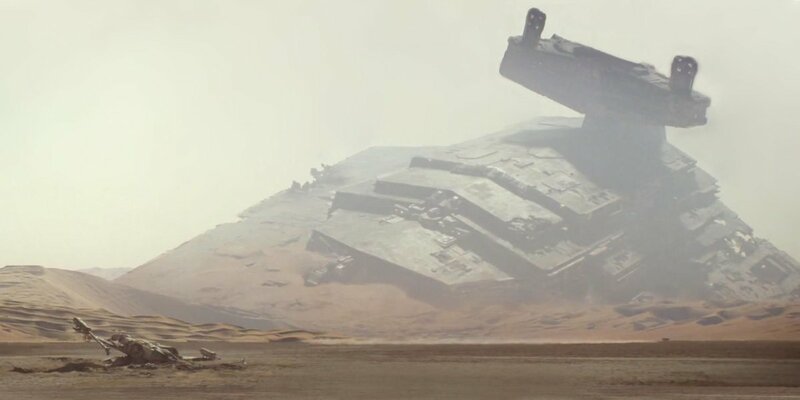 This could mean that the speeder chase, which happens just before the climatic meeting between Han and Ben, was dropped from the movie at the last moment. This probably means that they already did the VFX work on these shots and we will see them as deleted scenes in full glory on the Blu-ray. These are just a small portion of the interesting info the book offers. I definitely recommend buying the book for much more interesting details and tidbits (HERE).